In 1930, William Haines was the Number One box-office-star in America. By 1933, he was forgotten — kicked out of an industry where he once was king. The reason was simple: he had refused to play the game. While he romanced leading ladies like Joan Crawford and Marion Davies onscreen, in real life he was unapologetically gay — living openly with his partner, Jimmie Shields. Together they hosted some of Hollywood’s trendiest parties, in an era far more tolerant than most historians remember. But once the Production Code was enacted, forever changing the political climate in the movie capital, the studios began insisting their stars live up to certain images. When MGM chief Louis B. Mayer insisted Haines give up Shields and get married for publicity purposes, Haines refused. Some three years before Edward VIII renounced his crown for the woman he loved, Billy Haines gave up his own Hollywood throne for the man he loved. 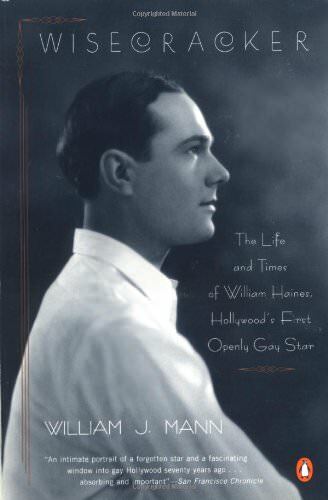 William J. Mann brings back an important figure in both film and gay history, setting Haines fully in context with his times, illuminating a whole era of Hollywood, contrasting the free-living 1920s with the conservative backlash of the 1930s.